When the FDA begins an inspection, a Form 482 (notice of inspection) will be presented as well as contact information in the event a 483 response is issued. The 482 explains the Agency’s inspectional authority and provides expectations for the Inspector and the firm. The Form 483 lists observations made by the FDA representative(s) during the inspection. These observations do not represent a final agency determination regarding compliance. The 483 formally notifies the organization’s top management of objectionable conditions or practices relating to violations of the Federal Food, Drug, and Cosmetic (FD&C) Act that were observed during the inspection. The FDA uses untitled letters for violations that are not as significant as those that prompt warning letters. An untitled letter does not include a statement warning that failure to promptly correct a violation may result in an enforcement action. Warning letters, on the other hand, are issued to manufacturers or other organizations that have violated some rule in a federally regulated activity, i.e., violations of regulatory significance. A warning letter is one of the agency's primary means of achieving prompt voluntary compliance with the FD&C Act. Injunctions may also be ordered to halt the flow of violative products and to correct the conditions that caused a violation to occur. An injunction is a type of judicial action that is considered for any significant out-of-compliance circumstance, but particularly when a health hazard has been identified. When an injunction is granted by a court, the FDA has a duty to monitor the injunction and to advise the court if the firm fails to follow through on its obligations. The three most common types of injunctions are the temporary restraining order, the preliminary injunction, and the permanent injunction. The FDA may recommend a temporary restraining order when it believes that a serious violation has occurred, and the situation must be controlled, or the flow of product stopped immediately. A motion for preliminary injunction is subject to a full hearing before a court. Once the motion is granted, the preliminary injunction is in effect and may stand indefinitely until the case is settled or a permanent injunction has been entered, after trial. A product seizure is a judicial (court-approved) action for removing violative products from the marketplace. Product seizures typically are initiated when the firm has not voluntarily recalled product that the regulatory agency believes is in violation of the law and where there is a perceived or known health risk to the public. 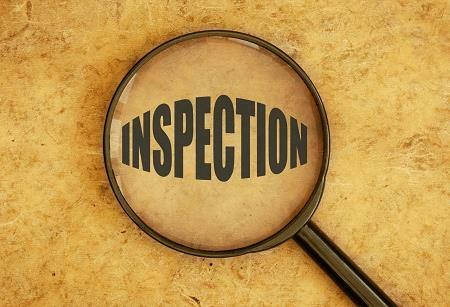 No action indicated (NAI) means no objectionable conditions or practices were found during the inspection (or the objectionable conditions found do not justify further regulatory action). Voluntary action indicated (VAI) means objectionable conditions or practices were found, and the firm’s response was satisfactory, so the agency is not prepared to take or recommend any administrative or regulatory action. Official action indicated (OAI) means objectionable conditions or practices were found, and/or the firm’s response was not satisfactory, so regulatory and/or administrative actions will be recommended. When the FDA receives a response to a 483 within 15 business days of the form being issued, the agency generally conducts a detailed review of the response before determining whether to issue a warning letter. If the FDA decides to issue a warning letter after reviewing a firm's timely response, that letter will acknowledge receipt of the response and address the adequacy of the firm's corrective actions set forth in the response. Mark Allen Durivage has worked as a practitioner, educator, consultant, and author. He is Managing Principal Consultant at Quality Systems Compliance LLC, an ASQ Fellow and SRE Fellow. He earned a BAS in computer aided machining from Siena Heights University and an MS in quality management from Eastern Michigan University. He holds several certifications including; CRE, CQE, CQA, CSQP, CSSBB, RAC (Global), and CTBS. He has written several books available through ASQ Quality Press, published articles in Quality Progress, and is a frequent contributor to Life Science Connect. Durivage resides in Lambertville, Michigan. Please feel free to email him at mark.durivage@qscompliance.com with any questions or comments, and connect with him on LinkedIn.